Following on from my favourite drug store/low end concealer post that I did last month (check it out here) I thought I'd continue the series onto foundation. I don't tend to wear foundation on most days; I like to let my skin breathe! So when I do reach for foundation when I feel like my skin needs it, I lean towards the ones that offer light slightly dewy natural finishes. I've been buying Bourjois foundations for years now, I just love them! They do tend to lean a bit more on the yellow undertone in their shades but there are some pinky ones in there too, so be sure to properly test them out before buying. Only bad thing is that there isn't a lot of shades selection, only maybe 6-9 but they're all for lighter skin tones. 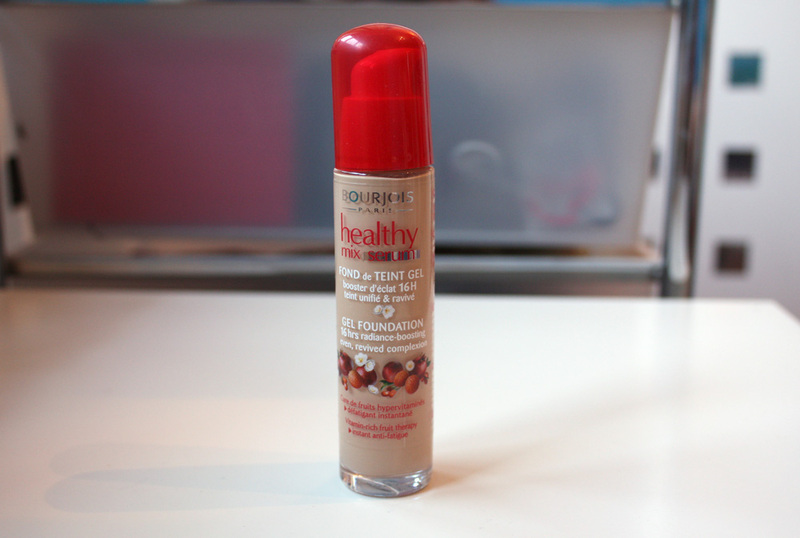 Anyways I stumbled across the healthy mix foundation a couple of years ago and fell in love then they introduced the serum version and I loved it even more. It comes in a hard plastic container with a pop off red lid, the shade is on a sticker on the lid - although they tend to fall off after a while. It features a pump applicator, so you can either pump it straight onto your face and blend in or apply to your hand and the apply. I prefer pumps to the tip up onto your finger kind as I feel you don't waste as much of the product. Only bad thing is that it's hard to tell when you're running out of it! The bottle doesn't go clear when empty so you may get caught out. The healthy mix serum contains an anti-fatigue vitamin-rich fruit formula containing litchi, goji berries and pomegranates. In all honesty I'm not quite sure if those ingredients will give an anti fatigue effect or be vitamins that your skin can benefit from BUT I love the smell of this. It's definitely a bit fruity but not in an overpowering sense, very fresh though. IT JUST SMELLS NICE OKAY! LOL. The gel/serum formulation means it glides onto your skin and blends out very easily, making a natural finish effortless to achieve. 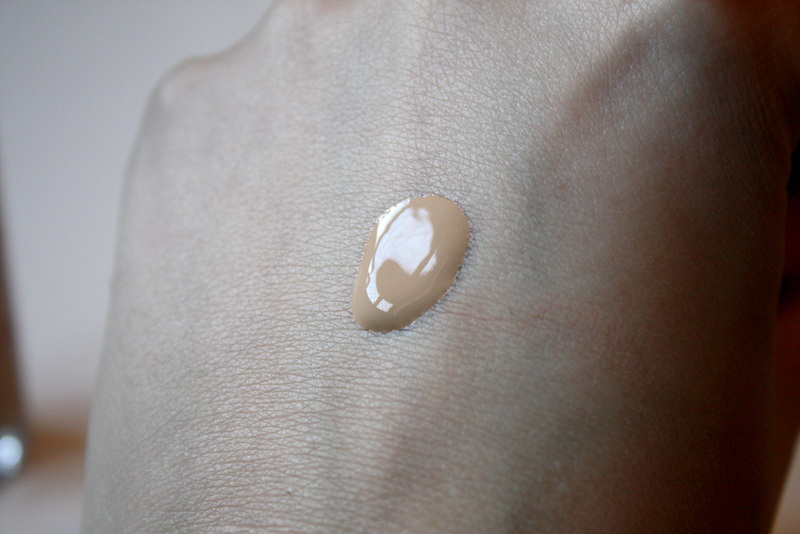 It feels very light on the skin and doesn't look cakey or sit in lines/pores. It gives light coverage- so will even out your skin tone and cover small spots, it is build able though (only to a medium coverage though). It gives your skin a radiant slightly dewy look, even though it's a dewy finish it's not greasy and I don't find it dries my skin out or anything like that. 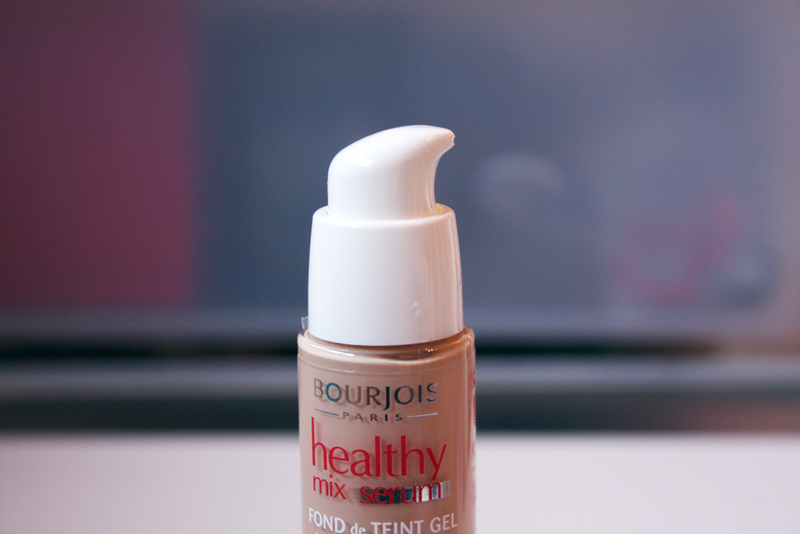 Bourjois claim it boosts radiance for up to 16 hours, I'd say this is partly true. It won't look exactly how it did when you put it on after a days wear but it will still have some of that original "radiance" which is good enough for me. Plus that's all you really need with a light foundation anyway. The healthy mix serum is available in 6 radiance-boosting shades. I'm shade 53 which I'd say is a yellow undertone slightly tanned skin. It's perfect for me in the spring or summer but I can't wear it when I'm at my palest. I love this! It's a light weight, light- medium coverage foundation. Perfect for when you don't want to wear a lot of make up but still want to even out your skin tone or cover up a few spots. I've heard people say its a good dupe for the Chanel Vitamumiere aqua foundations, but I haven't tried it so can't confirm it. You can pick it up in boots and superdrug for £10.99 but I tend to wait until it's on offer or 3 for 2 (which is quite often in Boots!). ive heard so many good things about this foundation! it just doesn't come pale enough for me, witch is a shame! 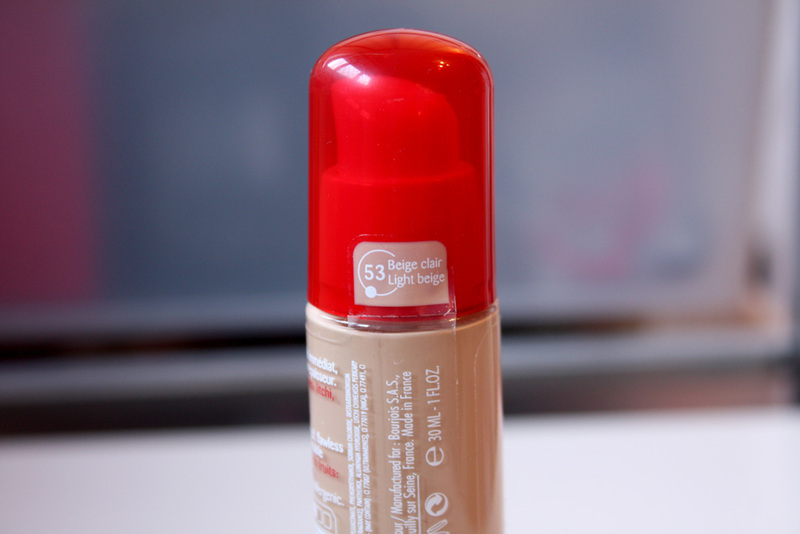 I have tried it, ( how I found it there wasn't a pale enough shade) and it was a lovely foundation!